I kicked off today’s posts with this particularly fetching porker. So I suppose it is only fitting I end the day with him. His name is Franklin and per his “person” (who contacted me via email) he was holding court at his place of work and play today. Sensing a good “scoop” when I know one, I headed over without delay. No, make that VERY cute! This is by far the most charming and articulate gent I have met in Williamsburg (two-legged or otherwise) in a long, long time. But alas, while I felt we made a “connection”, we had a very difficult time communicating with each other. I am not fluent in “Swine”. I do, however, have some very good news to relay; I have been granted an exclusive interview with “Franklin”. To this end I will be creating a list of questions for him this evening which his person, Joe, will field to him and translate! This will come to pass soon. 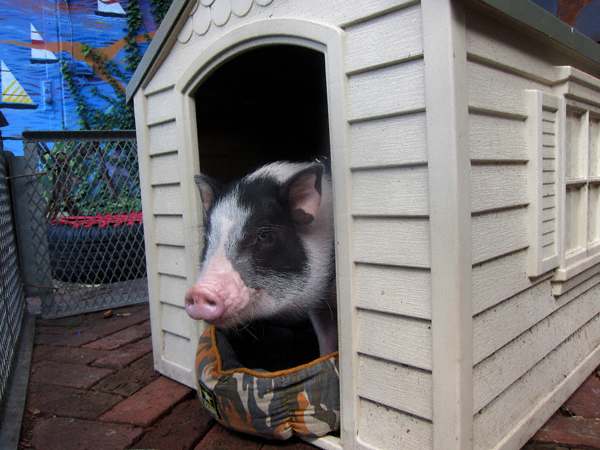 He sure is cute, but not to burst you bubble owning a pig within NYC limits is illegal. It would be a shame to see him got to the ASPCA. From what I have been told, it is NOT illegal. 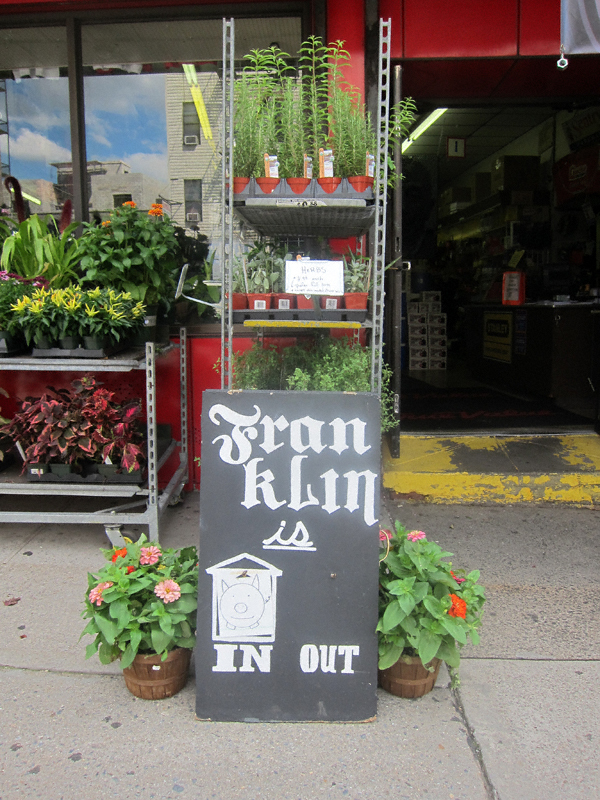 Such a pleasure to meet Franklin! Thank you for sharing. The reason I’m a vegetarian is because of animals like Frankin, just the thought of bacon makes me want to cry after meeting him.